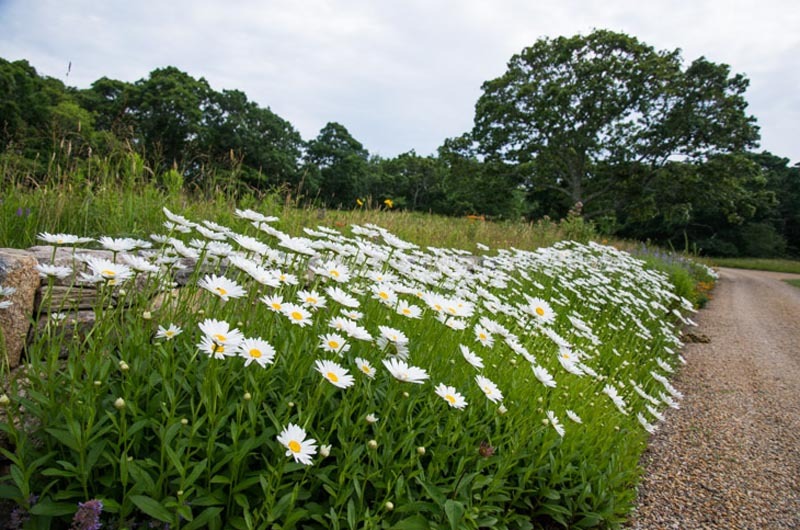 Oxeye daisies and orange butterfly weed dot Chilmark property. 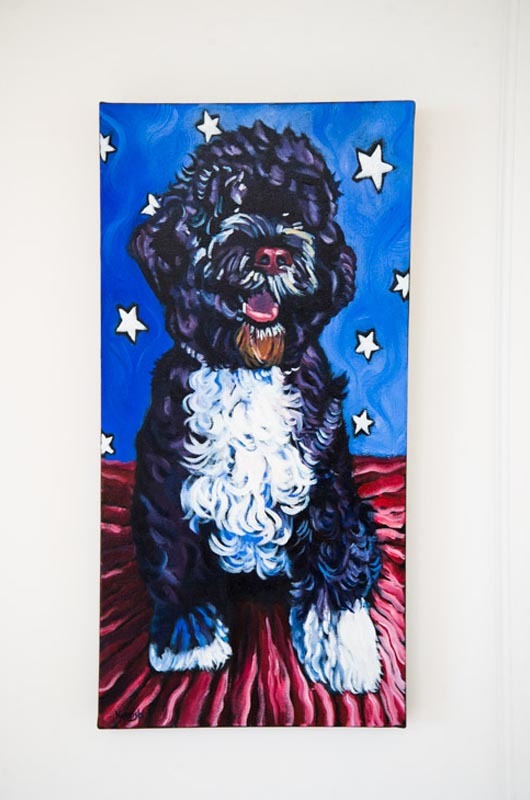 An energetic Portuguese water dog named Ruby greets all visitors as if they were longtime friends. In the vegetable garden, sugar snap peas are ripe and tasty, and spaghetti squash plants are blossoming and forming small fruits, still just the size of tennis balls. But owner Joanne Hubschman’s favorite part of her house is the outdoor shower. Or rather the two outdoor showers, located right next to each other with a partition between. The water pressure is perfect and the location next to the tennis/basketball court combination ideal. The Hubschman house has the unmistakable feel of a Vineyard house. It was built nine years ago and has a modern touch, but the details are all casual and comfortable. Inside, on the walls are framed photographs by Craig Dripps, a retired math teacher at the regional high school. There are also photographs of lighthouses, and on a shelf leading to the common area there are numerous distinctive glass balls made by Martha’s Vineyard Glassworks located in West Tisbury. Two small sculptures by local artist Jay Lagemann (the harpooner sculpture at Menemsha) give the kitchen area a whimsical flavor. In one, two young girls swing each other around by the arms, and in the other a young girl rides her bicycle. The three floors are joined by wide spiral wooden staircases. The upstairs is mostly bedrooms with an office and a viewing area, where during the day the Elizabeth Islands seem to float just offshore. At night, in the distance, the lights of New Bedford sparkle. In the basement there is a pool table and a workout room, but bigger barbells are on order. The house was nicknamed Flying Dog Acres, after a series of stories Henry Hubschman, now deceased, used to tell his children. The stories always involved a super hero dog who flew in to perform all manner of rescues. When the Chilmark fog rolls in, as it often does, you can almost hear the bark of the Flying Dog making his nightly rounds. Outside the house, oxeye daisies and orange butterfly weed dot the edges of the property, in the scrubby woods and along the rock walls. There are also bits and pieces of personality located around the property. Two yellow hockey pucks sit idly by near the side door, yellow inner tubes float listlessly on the forever pool, and a basketball and tennis ball look for playmates on their respective courts. Long before President Obama and the first lady arrive, these items will have been picked up and removed. And yet the feeling will still remain, of a home that is lived in and well loved. The description of your property and the history of your husband is wonderful. I would love to be able to visit your home one day this autumn. Perhaps I could tidy up the yard after the leaves have fallen from the trees. Happy Summer to You and Yours!! Oh, to feel the beauty and uniqueness of Martha's Vineyard so clearly! 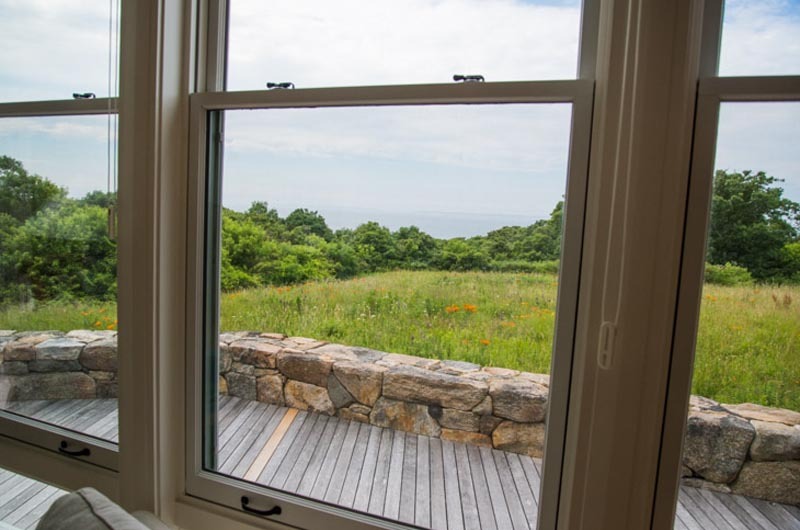 Geographically far away, but always near to my heart, Martha's Vineyard is easily felt in the story of this home. It would be a joy to spend time in the Hubschman house - to make island memories that will surely last a lifetime.